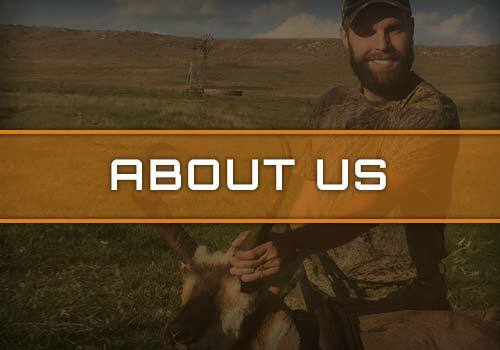 We offer world class hunting, lodging and food at a very reasonable price. We are located in south central South Dakota. The hunting in this area is second to none. 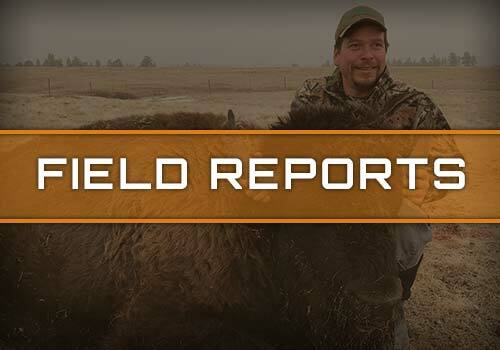 You will have access to over one million acres of hunting land located in four counties. 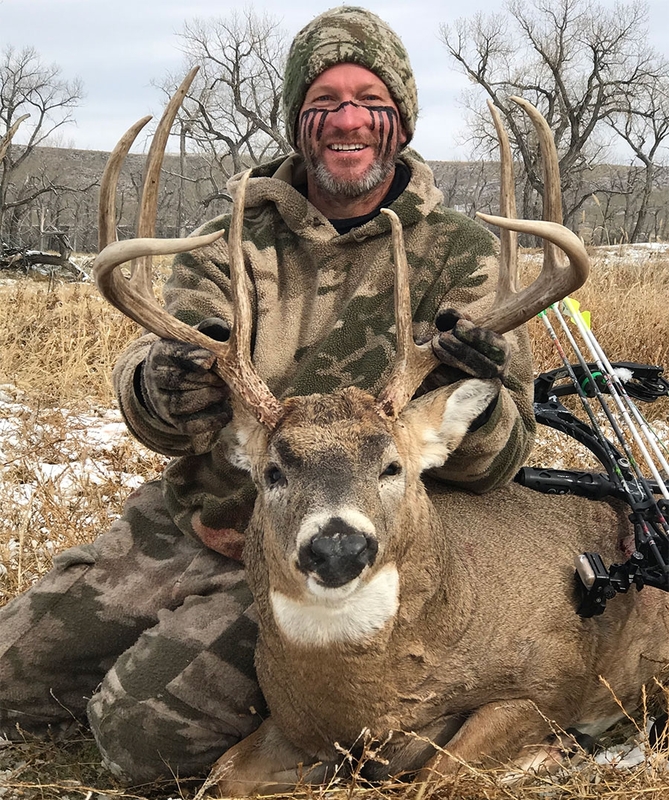 The diversity of hunting locations spans from high plains that stretch as far you can see to rolling hills that give way to deep wooded creeks and valleys which lead to huge river valleys, with mature cottonwood and cedar trees. The beauty of the land will astound you. 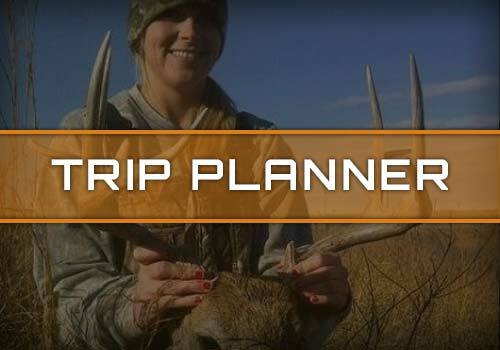 You are sure to have ample opportunity to harvest the animal of your choice. 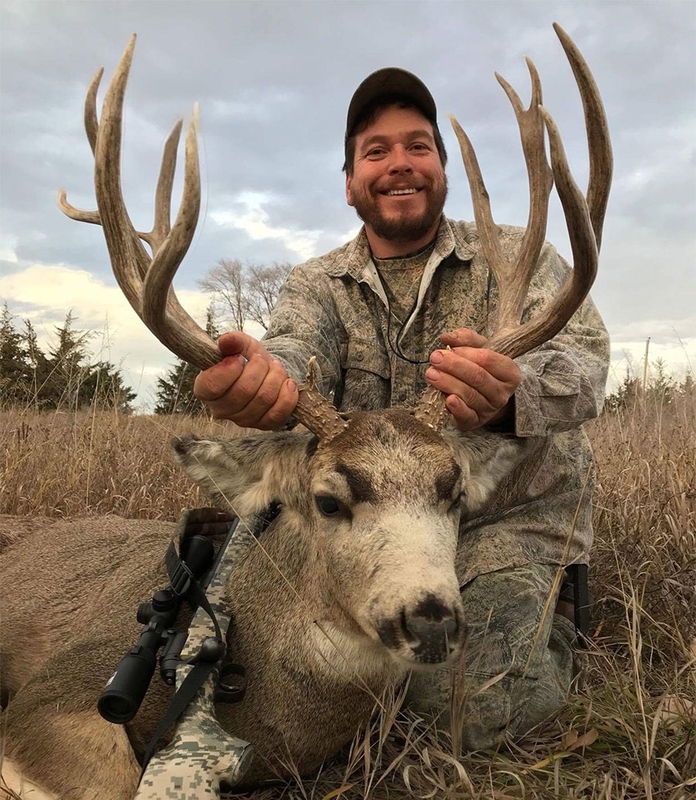 We offer hunting packages for whitetail deer, mule deer, pronghorn antelope, Merriam turkey, prairie dog, prairie chicken, sharp-tailed grouse, ringneck pheasant, elk, and American bison. You can use weapon of choice rifle, shotgun or bow. For the bowhunting enthusiasts we manage a private 3,000 acre archery only hunting preserve. There are three miles of river bordering and a 40 acre island. 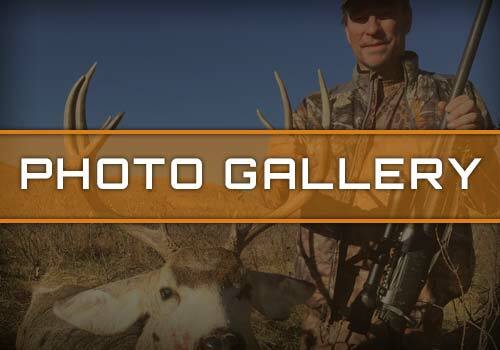 You are sure to have a heart pounding experience each time you climb into the stand. All wildlife flourish here with an abundance of ground cover food and water. We only allow six archery deer hunters and eight archery turkey hunters per year.